I know this woman who runs an online business. I like her a lot — she has a great product, she’s been covered in some great press, and when I’ve met her, she’s really fun to hang out with. But her business is struggling. She doesn’t charge enough and she doesn’t know how to grow her business. On two occasions, I’ve heard her mention cashflow problems. Here’s the interesting part: Looking at her business, I know how she could easily quadruple it in 2 months. (I know because I did exactly the same thing with mine.) And I would love to help her, free, as a friend. It would be presumptuous for me to call her and tell her what to do. But if she reached out, I would be HAPPY to help. In fact, I wish she would ask! For a lot of us, we’re worried about “annoying” the busy person. Sometimes, we hate feeling obligated. But no matter what, we’re shooting ourselves in the foot. The worst someone can say is “No.” But what if connecting to a busy person could give us ONE answer — just 1 — that could change the trajectory of our lives? To show you how, today I’ve invited my friend Selena Soo to share her strategies for connecting with busy VIPs. Sometimes, they might give you a 1-line email response. Other times, they’ll take you under their wing for life. Selena has done a masterful job connecting with journalists, entrepreneurs, and authors. Not like a sleazy person handing out business cards at a bar, but in a totally authentic way. For example, when I wasn’t sure where to host an event in NYC, she knew the exact place to do it. When I needed to hire someone to help with a business challenge, she pointed me to the right person. Today, she’ll show you how to connect with busy people and tap into their networks and expertise. How do you get a CEO, TV producer, or potential mentor to write back to your email, and say yes to your request? The most powerful people, who can open up doors for you, are also the busiest people. Before even having their morning coffee, they open their email to see dozens — if not hundreds — of requests that have already started pouring in. Even if you don’t get 1,000 emails per day like Ramit, I imagine you’re also struggling with the flood of information and to-do’s that land in our inboxes daily. In fact, the average corporate employee receives and sends 105 emails per day. It’s harder to stand out and make an impression. It’s so easy for your message to get overlooked or ignored in all of the noise. However, what if the simple act of sending one email could lead to a big job opportunity, a high-paying client, or an influential new friend? It could save you weeks, months, or years of knocking on doors (or just hoping and praying for a lucky break). If you know how to get busy, powerful people to respond, you’ll have a HUGE competitive advantage over everyone else. Unfortunately, most people go about emailing influential people all wrong. They end up ruining potential relationships before they’ve even started. Today, I’m going to show you how to start a relationship with a specific type of influencer — VIP experts, bloggers, and authors — the right way: through generously adding value. And I’ll be breaking down real emails on the right and wrong way to do this. These big experts often seem impenetrable. They have 10s, or even 100s, of thousands of people on their list. But the truth is that they DO want to get emails. They would LOVE to get hundreds of emails a day from their readers — if they were the RIGHT emails. What if you could be that person that your favorite blogger, author, or expert loves hearing from? How can you get them to light up when they see your email in their inbox? What is it that makes an expert respond or not respond to an email? How do you get this person to care about you? How do make sure you aren’t annoying them or taking up their valuable time, but rather giving them great value in your email? I want you to know how to craft a message that will begin a relationship and leave a lasting impression. Below, I’m sharing examples of three types of emails I received after I hosted a webinar that over 700 people signed up for. Let’s dissect what worked and didn’t work about them. On the surface, this seems like a good email. “J” is enthusiastic and complimentary. She also makes an offer to help. But let me tell you what’s missing from this email. This type of email doesn’t make much of an impression. It’s not memorable, because it’s generic and non-specific. Furthermore, while I would respond and say “thank you,” I would never take the person up on her offer to help. I don’t who she is or what she does. I can’t figure out how she would help me. Even if I did know what she does, how do I know she is actually good at it? And how do I know that I will like her work? As a busy entrepreneur, I’m protective of my time. The entire process of reaching out to her, scheduling a time to get on the phone and explore this, and receiving her help could take several hours. This email gives me no way of knowing whether or not it would be worth it. Another thing to keep in mind — if you are looking to develop a relationship with an expert, author, coach, or information product creator, they tend to have two primary goals — to generate leads or sales. The ways you can help them are fairly obvious. So as Ramit often says, “Don’t make the busy person do the work.” Don’t ask the expert to spend time figuring out how you can help them. Instead, be the person who proactively comes up with valuable ways to help. For example, if you can promote them (their website, blog, service, product, book, or events), offer a case study about the impact of their work, or refer customers to them, you’ll for sure stand out as someone valuable to them. Have you ever gotten emails that are 1,000 words long? I received a few of those after the webinar. At first, I was excited to see that someone was so passionate about my content. I was committed to responding and writing back to everyone who took the time to email me. However, these super long emails ended up feeling burdensome. As a very busy entrepreneur (or just a very busy human! ), reading a 7-paragraph email felt overwhelming. It took me a lot of time to read, digest, and respond to the many questions embedded within the email. When someone writes you their life story in 7 paragraphs, you feel bad responding with two or three sentences. I had to spend more time than I normally would to craft a thoughtful, appropriate response. The time of the experts you admire is valuable. Many of the experts I know charge between $100/hour to up to $3,000/hour. So while experts, bloggers, and authors enjoy hearing from their readers, be mindful of what you ask of them. With that in mind, most long emails are not a form of giving (even though the email recipient may have put thought and care into writing the message). They are actually a form of taking. When a well-meaning person emails you their life story, a laundry list of questions, or a request to jump on the phone with you, they are actually taking your most valuable asset — your time. And the best way to build a relationship with an expert you admire is through giving generously and respecting the value of their time. Recently I heard author Michael Ellsberg share in an interview that when someone becomes a sought-after expert, they are no longer able to help many people 1-on-1. That’s why they create a newsletter, write books, and give talks. They want to share their work with the masses. So when you are requesting 1-on-1 meetings to get extra advice, especially when you don’t have a strong relationship with them, you are likely disrespecting the way they want to help people. I responded to this email right away, and I got on the phone with Pam the very next day. She established credibility (she’d been mentored by famous executive coaches Marshall Goldsmith and Tom Peters, and had lectured at Dartmouth). She had taken the time to listen to my live webinar and showed enthusiasm for what I taught. She made a specific offer that was relevant to me, which I could simply say “yes” or “no” to. Pam stood out from the hundreds of people listening to my webinar by leading with generosity, and she got my most precious resource: my time and attention. When we spoke on the phone, she also invited me to do an interview for her radio show (which I said yes to), which will keep us in touch and further develop our relationship. She did all of this in the spirit of giving, without asking me to do anything for her in return. So how can YOU stand out to experts by being a GIVER? Tim Ferriss and Ramit Sethi have become well-known experts and authors because they are regularly producing powerful, life-changing content. They are passionate about sharing their knowledge and want to know that it’s making an impact. The way to start your relationship with these influencers is to consume their material and actively implement what they are teaching, and then let them know how it has helped you. There are several ways for you to do that. Here is a specific example. A real estate investor watched one of LinkedIn expert Lewis Howes’ interviews and then wrote him a personalized, thoughtful note. His note is very specific. He tells Lewis that his interview was the best he’s ever seen (out of over 100). He followed up by buying his LinkedIn book, showing he wanted to learn even more from Lewis. And he wrote all of this in a personalized LinkedIn message to add Lewis to his network (a very fitting way to connect with a LinkedIn expert!). The result? Andrew made an impression on Lewis, and Lewis ended up sharing his note on his Facebook page. Here are some more examples of how you can get the attention of your favorite expert, blogger, or author. Can you see yourself doing any of these things? Attend a webinar and ask an insightful question. Afterwards, follow up. Come prepared to the webinar to take notes and ask a thoughtful question relating to the topic. Follow up with a thank you email to the expert for answering your question, and share how you’re going to implement that piece of advice. Then, after you implement it, follow up with another email sharing your results. Write a testimonial or case study for their product or program. Have you bought an information product from any of your favorite experts? And did you complete it? If you say to them, “I bought your product and I finished it and I got XYZ results,” they’ll think: “Wow, this person is serious and committed.” So, complete the program. Then, offer to write a testimonial or case study. This is valuable because in order for experts to sell their products, they need proof that it works. By doing that, you become an ambassador for their sales and promotions. With experts, that’s how they make money. When you help sell and promote their products, you stand out from the thousands of fans and become a valuable person in helping them grow their business. Comment regularly on their blog. (Bonus: Share results you’ve gotten through using their material.) For example, at Ramit’s BehaviorCon event, marketing and lifestyle expert Marie Forleo shared with the audience that she’s proud of the passionate community she’s built online. The viewer comments for her MarieTV episodes are rich and intelligent, and people are supporting one another with the weekly community challenges. This is something that experts take great pride in. Getting thoughtful blog comments makes these experts feel like their hard work is appreciated and making a difference. And when you comment regularly, you will be noticed. Some experts may have active readers, but very few consistent blog commenters. In that case, you’ll especially stand out by leaving comments, so take advantage of these opportunities. The key is to be consistent about it, and to know that a relationship is built over time. As you can see, Derek cares about his readers and their results. And when you come back to an expert’s blog to share the results you’ve gotten, you’ll distinguish yourself from everyone else. Here’s another example of a comment that stood out. An IWT reader told Ramit that he’d had success with his famous Closing The Loop technique. Write an email, or a comment on your favorite expert’s blog, using what you’ve learned today. And to practice, feel free to leave me a comment, as I would love to hear from you and connect with you! Selena Soo is a business strategist + publicity coach for entrepreneurs, experts, and authors. Get her exclusive 4-step guide: “How to Get Important People to Notice You (And Take You Under Their Wing)” — free for IWT readers. As someone still in “dues paying mode” and early in my career, I simply do not have credentials like Pam has to drop in an email, but I need a mentor or the ear of a VIP just as badly as she does. Fortunately the examples of Andrew and others added depth to what could have otherwise been a flat blog post and has given me actionable steps to follow. I’m in the process of looking for a marketing mentor and I’ll be sure to put the tactics you’ve shared here to work and report back later on with results. Thanks for the insightful read. Been there man, so I completely get where you’re coming from. It’s really hard as you get started in your career to build up the experience that allows you to send an email like that in the best example here. Here’s what I would do if I were you (feel free to use what makes sense to you and leave what doesn’t). First, I would get super focused on what you want to be the best in the world at. How can you define the world, the value you’re providing, and the skills needed to make it happen in such a way that it’s possible to be the best in the world? For example, I can probably work towards becoming the best career performance coach for young professionals in the first five years of their careers in tech startups in Atlanta, but I probably can’t be the best business coach in the city of Atlanta. So, what do you want to be great at? Second, I would figure out what case studies or results you could possibly achieve to demonstrate your potential to contribute to someone like the experts Selena talks about here. You can use Charlie Hoehn’s technique to track down some test cases and tell them, “Hey, I can provide xyz value to you. I’m just getting started, and I’d like to test my methods in your organization. You name what this is worth to you, and no matter the number, I’ll say yes.” If you’re any good and can actually produce results, then 6 months later you can have three case studies that directly demonstrate your results. Step 3: use your case studies as the proof that you can do what you say you can do. That’s just my two cents. It’s the same method I’ve used to land an internship with Seth Godin, build a strong podcast guest list, and become an advisor to Fortune 500 executives here in the Atlanta area. Like you, I’m still early in my career (my new career anyway, as I’m in the middle of a transition). I very recently had a ‘win’ in this area by taking a slightly different approach. I’d signed up as a member for a new subscription service. As part of the new-member welcome sequence for this product, the start-up founder sent personal emails asking for member feedback. I jumped on the opportunity to ‘offer my thoughts’ on ways that the company could improve their email marketing. Although at the time I was not looking to solicit the guy for anything specific, we set up a time to Google Hangout and I ended up being awarded a $3000 freelance project! In the Google Hangout I spoke about practices that other large, successful companies are using in their email marketing and provided some ‘typical statistics’ (that I’d researched ahead of time) that are seen when email marketing is effectively used. Although I didn’t have any direct job experience in CREATING results in this area, I was able to demonstrate a significant amount of knowledge about the practice. I think you need to identify an area of marketing you are particularly knowledgeable about, make an effort to learn even more about it (as much as you possibly can), and then demonstrate that knowledge in your outreach message. It doesn’t matter as much that you don’t have any specific, direct experience if you can demonstrate a solid understanding of the material. That’s what experts do anyway – they learn and learn and learn until they get (or create) the chance to try it out; THEN they can share their results and say they’ve succeeded!! Hi Mike, thanks for reading! Happy to know the example of Andrew was helpful. Hi Selena! Thanks so much for providing such specific tactics. I think that beginning relationships like this, even with people who aren’t necessarily at the very top of the industry, is the most valuable thing you can do to get the word out about a company or blog, and so this is something I really love learning about! I’ve been sticking to Ramit’s guidelines of keeping emails short and providing as much value as possible for the other person. I’d really like to also try your idea on offering to write a testimonial after using a product or service. Sounds like a great way to not only get your name known by the expert, but potentially by their audience, if they publish testimonials online. Hi Meg, yes! Offering to write a testimonial is a very powerful way to add value. Great point about this being a way to get your name in front of their audience. Selena (and Ramit), Thank you so much for this! I’ve been thinking a lot the past few days about how connect with “influencers”. The Universe answered! You gave such specific and easily implementable ideas, I feel confident that I can reach out and connect. Great tips and insights. Commenting on expert’s blogs is something that’s always in my radar but I rarely actually do. This is a great reminder as to why this is important. Attending a webinar and following up with an insightful question is an amazing tip as well. Never actually done it but will try it this week and will let you know the results. Thanks for the great article Selena! Hi Jovanka, glad you enjoyed it! Yes, let me know your results! I love your step by step to the point on how to build these relationships. Personally I have found when it comes to building blogger relationships it’s all about leaving thoughtful comments, and connecting via social media. Allowing the relationship to develop to hopefully become friends in real life! A big one for me has been checking in what is my intention before emailing the big shots. This means leaving the desperation or looking for validation. Being willing to give back what they generously shared whether is through a blog post, webinar, program. Hi Laura, yes! the more thoughtful the comments the better. And I like what you said about the intention. Desperation is never good when trying to build a relationship! Selena, you are certainly THE expert in this arena! This article is fantastic because you give some great examples that can easily be implemented right away. I’ve participated in your webinars and read many of your articles and have already been doing some of what you’ve suggested. I don’t live in a big city and building relationships via Facebook and blog comments has actually worked for me. I’ll soon be sending testimonials to some high-level experts as you suggest here. I’ll keep you posted on that. I’ll be sharing this post for sure. Thank you, thank you! Hi Rubina, you are awesome! Thank you for listening to my webinar and reading my articles. Love that you’ll be sending testimonials. Definitely keep me posted on your results. Hi Selena (and Ramit). Selena I listened to your webinar and kept asking myself what I could possibly offer someone who has “made it” as I start my own journey. I was hiding behind being an introvert and feeling overwhelmed. I finally came up with an answer that works for me. I offered myself as a volunteer at an event that my “mentor to be” is hosting. I figured it would give me something to do (so I wouldn’t have to enter a crowded room all alone) and would be a great way to meet people, while still helping out. The “mentor” in question was happy to have someone volunteer to help. I hope this will be a good way to meet her and her team while making true personal connections. Thanks as always for your insightful and helpful posts! Lorna, that is wonderful! What a GREAT way to add value. Spending time w/ a potential mentor at an event deepens the relationship + there’s a good chance you’ll meet a number of people in his or her inner circle (team members, friends, close supporters). Great article. Thanks for the specific emails and examples. I mentioned to you before that that level of specificity was really helpful on your last webinar too. Since then I have reached out to two influencers. One of which I haven’t heard back from but the other was very engaging and we have since started a relationship. The hardest part was getting over the fear but I imagine like anything else, it will get easier with practice. Thanks for the insights and the motivation! You’re welcome Mridu! Good for you for taking action. Remember, not everyone will respond and that’s ok! Love seeing you two in the blogosphere together! I was eagerly awaiting Selena’s post about this topic while I was following the Facebook chain last week. The article has been very insightful. Thank you! My favorite section is the “3 Ways…” with action steps. It’s a concept I understand, but while you are actually writing that email / comment it’s hard to know precisely how to implement a concept. Hi Christina, awesome hearing from you + thanks for leaving a comment! Email is good when the note is more personal or private in nature. It’s also better if you’re intending for there to be a lot of back and forth dialogue. Hi Christine, these tips apply to everyone! Everyone has something special to offer. This post made me so happy, because it’s so unbelievably true. Proof: I used these exact strategies to get an email response from Mark Cuban TODAY. In under an hour. Take this stuff to heart, people. The right approach is everything and this post gives you the keys to the kingdom. What? That is INCREDIBLE! Can you share more with us Jay? I actually didn’t have an agenda, but I made it easy for him to check me out and care. He got back to me asking what separates me from another company he invests in. We’re going back-and-forth now. Very cool that you are exchanging emails back and forth! Awesome tips, Selena! And, thank you, Ramit, for featuring her on your blog today. I loved your 4 (simple!) steps to crafting a worthy-of-being-read email or comment, and will definitely keep them in mind the next time I craft an email to an influencer. I actually have used the “Case Study” offer successfully. I created a testimonial video for Marie Forleo’s B-School, which she thanked me for via Twitter! Very cool & a great way to open the line of communication! Thanks for the kind words Cailen! Very cool that you did a video testimonial for Marie. I’ve heard great things about RHH B-School. I have a question. What should be the next step when one doesn’t get a response from the suggestions given above? I sent an email similar to Pam’s. My name drops were from people within their organization who suggested I reach out to him. No reply yet. I’m thinking of sending some sort of 1 page, bullet recommendation list (kind of like the Briefcase Method that Ramit talks about) to increase my credibility/willingness to help his organization. I would prefer to use this at a face-to-face meeting, but I’m not sure how else to get there attention. What are your thoughts? Not every email (including good emails) will get a response. So many factors are at play. I would need to see your note in order to give you feedback on it. If you want to anonymize it and share part of it here, I’d be happy to do so. This happens to me too. I recently developed a relationship with a famous blogger at a conference, and he was very enthusiastic about getting to know me and us supporting each other. However, I had to send a follow-up email, because I didn’t get a response to my first email. No biggie. This is magnificent. I love how clear the advice is and all the examples you gave. I’ll be saving this to come back to. Working as a virtual assistant, I’ve gotten to see some of the common mistakes people make when trying to connect to bloggers or just people they want to talk to. Hi Tatiana, nice to hear from you! No worries if you’ve written a 7-paragraph email. A lot of us have done that! This post appearing in my inbox must’ve been some kind of cosmic alignment, because I’ve been reaching out to experts and people doing the jobs I want to do intensively over the past few weeks. (I’ve actually gotten in contact with people who work in advertising right in my own personal network from the get-go!) I’m snagging your 4-step guide now for even more help – I’ve always needed help networking, but thanks to Ramit’s tips on building systems (and now with this) I think I may finally have a handle on it. Thanks for helping me with my own little quest. Nice! 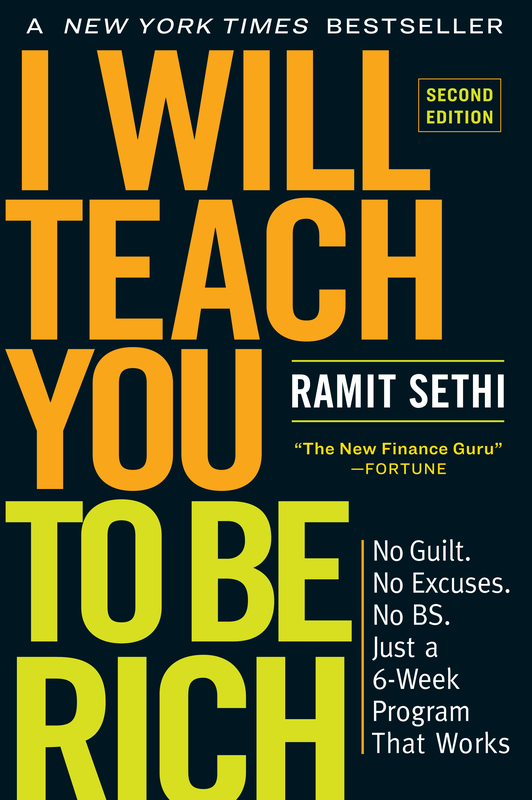 Between Ramit’s material, this post, and the free guide, you have a lot of good stuff to work with. Thanks for sharing Matt! I literally did this a few hours before you posted. I emailed someone who had inspired me, who I consider the top expert in my field. I just thanked him for his work and mentioned a couple specific things he’s done. He responded in a few hours, and he thought my joke was funny! Aww…thanks fantastic! Love hearing from readers that this stuff works for them. Thanks Steve! These are such valuable tips Selena, thank you for sharing with us! I’ve been on the receiving side of many outreach emails too, so it’s nice to have a resource to point people to. I’m partial to the case study/testimonial one myself, I find that it’s a generous way to build rapport… and it feels good to be a “good student” as much as a “good teacher”, too! Absolutely! That would be the most rewarding way for me to connect with a reader/newsletter subscriber as well! I love the examples you presented here. It took me a long time to learn that short emails, ending with a clear call to action is a very helpful way to take next steps. Hi Jason, thanks for the kind words! And no worries about the mistakes — we’ve all made them. It’s how we learn. The specific examples and screenshots here were really helpful. I’m glad you took the time to explain the importance of offering something specific of value, because I think often that initial hurdle is where people struggle. They don’t have the confidence to realize they have something of value to offer a busy person. But that’s not enough. You also need to pitch it in a concise and specific way, with detail and proof to demonstrate you are worth the investment of time. Also, although this is really beyond the scope of your post here, one big problem is people don’t define precisely what types of experts are worth their time investment. In other words, they try to network and connect with busy and/or important VIPs, but they haven’t put in thought in advance to figure out which are the right types of VIPs who (A) they can help, and (B) there’s value in building a relationship with. For example, you could run out and join a weekly lunch meeting of high-powered executives in your local community, but unless your business is aimed at these types of expert executives, it may not be worth your time to connect with those particular experts. Yes! This is gold. You not only need to have something of value, but you have to pitch it the right way. And yes, I totally agree that people need to get clear on who are the right experts/people for them. Just because someone is famous, it doesn’t mean that you can meaningfully contribute to each other and that they can help you further your goals. This is the most insightful comment I’ve read. Thank you! Thank you for this timely article. I am going to a conference in a few weeks, where I know that there will be very interesting — and busy! — people to connect with. I hope to put your suggestions to good use. Thanks! Excellent! Have fun at the conference Rebecca! Selena, one of my favorite things about all your posts is that you break things down so clearly and give examples. It’s one thing to give advice by just saying what you need to do, but it’s another thing when you actually show us what you mean. It helps tremendously to see what works and what doesn’t, via the email examples in this post. I love steps, and your 4 are pretty simple. Now it’s time to put them into action. Thank you once again for sharing your advice! I’m also so grateful for the information. Hi Kristen, you are awesome! Thanks for commenting and I remember our past email exchanges. I’m so glad that the examples are helpful. Great post Salena! Too many people are trying to teach fancy email subject lines or tagging experts in posts that they weren’t actually involved in to connect with them, but you are just teaching REAL relationships. Be clear, to the point and give real value all while being genuine. Love it! and I already love it! Thank you Roger! Yes, most people are going about networking/building relationships all wrong. I’m all about building meaningful, deep, long-term relationships. I’m so happy you downloaded my free guide. There is so much gold in there. Glad you’re enjoying it! Thank you for the great post and I attempt tactics from this blog on a weekly basis. I’m still a bit confused as most of us who are looking for a mentor feel we have little to offer the mentor besides seeing a someone excited to learn. I’m eager to learn, I have a strong technical background, I go out to networking/social events within my desired industries… yet, I’m having trouble ‘connecting’ with the right mentor. I’ve been bold (come out and asked someone to be a mentor after several email exchanges), subtle (asked several questions with what a person does)… and it doesn’t seem to click. I’d love some advice or even a nudge in the right direction. Hi Sean, that is great that you are eager to learn. I love what Sheryl Sandberg says. It’s not about finding a mentor and then excelling, but “excel and you will find a mentor.” The best mentors are drawn to high-potential, self-motivated people, because they know that the small investment they make will have a great impact. So make sure you come across as self-motivated versus needy. Connect with people from a place of passion rather than desperation. Not saying you are necessarily doing this, just that we all need to keep this in mind. Also, asking someone directly to be your mentor can feel like a big ask and obligation. Better to start small like, “I have this one question I’d really like to get input on” or “what do you think is a better approach A or B”? As you start excelling and getting results from their little bit of feedback, they’ll be motivated to help you more. I really appreciated that you put actual examples of e-mails you have received and most importantly, COMMENTED on them. I’m currently in the process of getting in touch with a few experts and I saw myself in the trite e-mails you’ve covered. From now on, I have a new perspective and I will radically change the way I e-mail busy people, specifically by applying the 4 guidelines. I really hope to find as relevant info in your guide (for which I just subscribed) and I will keep you updated with my results. And thanks again for taking the time to share your extremely relevant experience through Ramit’s newsletter! Thank you Thomas! And I’m so glad you downloaded the guide. A lot of my very best stuff is right in there! Your examples are wonderful and some of the “bad” examples made me chuckle because I know I have been guilty of that occasionally. What resonated the most with me was about sharing not just what you liked but what action you are going to take because of them and then reporting back how it worked. This is huge! Thank you for sharing. I am posting your article on FB in several places as well as twitter. Can’t think of a person I know that wouldn’t benefit from your post…. Hi Amy, no worries, we’ve all been guilty of it occasionally! Thank you for sharing on FB, Twitter, and several other places. I really appreciate that! Selena, it’s so awesome to see you here! Yes, exactly! People always open up doors for givers. This is why I subscribe to Ramit’s email lists. The information is timely and helpful. All we have to do is follow it. Thank you for sharing this. I have connected with experts on their blogs by commenting and have gotten feedback from them. I have not had the same luck with other experts on Twitter but it could be because they use staff members to tweet for them. Hi DC, I’m glad this with helpful! I just started looking through your blog through the link you provided and I can see how Ramit’s previous advise on guest posting works well when the content is high quality. I’m a recent wantrepreneur turned entrepreneur, and I’ve been getting my feet wet, but I’m afraid I threw some of that water onto potential VIPs I’ve tried reaching. So, my questions are: is there any time frame to try and salvage of a botched opportunity, or perhaps, is there even anyway to redeem oneself to your VIP, have you or Ramit ever had anyone successfully redeem themselves? I’d be interested in any examples. I wish I had this post to read before the weekend so I could share some of my results. Hi Adam, congrats on taking the plunge! As for redeeming yourself from botched opportunities, oftentimes it’s not as bad as you think. For example, say an expert gets hundreds (or thousands) of emails from people over the course of a week. Mediocre (or bad) emails mostly go ignored. They don’t spend much time thinking about them; they’ve already moved on to the next thing. So write again! They might not even remember the email from before. Thank you for the great insight and helpful information. I was literally having the thought that I can’t email my fellow bloggers for help, when I received this email. I got the encouragement and knowledge I need to send an email today. Extremely grateful. Hi Candice, awesome! I’m so glad this came at the perfect time. This is powerful stuff. When one is starting out or trying to move up to that next level it can be difficult to see things from the other point of view, something that you’ve explored and laid out very well. Brilliant work on the simple, step-by-step approach! Thanks Matt! Glad that the step-by-step approach was helpful! Thanks for the posting! I’ve used this technique to meet GMs of pro sports teams and it also helped my wife score two guest posts for baking. One really cool story I read is how constantly providing value actually prompted the ruler of the Ottoman Empire to rescue expelled jews from 15th century Spain saving 50,000 lives. Cool story! Thank you Sean. Fantastic piece, especially describing the idea of giving and taking. I have always had mixed results with these kind of emails, because as someone beginning a legal career I never knew what to “offer.” I had never considered that reading and taking in an expert’s work would be a great way to give, even though that is the reason an expert publishes their work! It makes me wonder what else I have overlooked. I am definitely going to spend time brainstorming ways to “give” to experts in environmental law. It will be much easier with the ideas you spelled out here. As you might imagine, I reached your article through Ramit’s latest newsletter. Close to the “3 psychological traps” webinar, I’ts definitely a handful recommendation guide for taking action after it. I’m now much better prepared. I’ll be flying to NYC in October, so I hope I can attend to an event of yours, and of course give you back some feedback when possible. As always, great advice, Selena! Thank you Darlene! So great to hear from you! I am going to craft an email to someone right now and think up a beautiful offer for them. I feel inspired. thank you. In fact I just thought of someone else too that I had written… I am going to write them again now. Thank you Elizabeth! And good luck with the email you’re crafting! Hi Selena. Great article. What got my attention right away was your points were about TAKING ACTION on your potential mentors advice. That is, if you don’t already have something you’re doing that would be helpful to the person you want to meet, take measurable concrete action on their material. Then and only then contact them with a chance of developing a relationship. It also occurs to me that we need to be focused and selective in who we as consumers of the information select to take action on. There’s lots of great advice and people we’d like to meet and only so much time in the day. Seems obvious, thought it worth a mention. Hi Chris, yes! That’s an excellent point. It takes a lot of time to give generously and stand out. Therefore, we HAVE to be selective. Great article. I’ve been thinking about doing this in my life during my job hunt. Reading your pearls of wisdom was basically the final nail in the coffin. I’m going to drive it home now. Thanks for the wisdom! Thank you Selena for the best writing I have seen on contacting busy, influential people. Your approach is solid, deep and thorough and shows genuine feeling. That is why I said, “the best”. What a relief to find you. I coach many people on building relationships for jobs, careers and business and it is not easy to find experts to refer them to where they will get detailed information like yours. I’m extremely happy to have found you and to pass along your knowledge. I’m confident it will connect with them and help many other people. I’m heading over to LinkedIn to connect with you and hopefully share what you have to offer with many others…hoping that too will be useful to you. Please let me know how I may help you at any time…brainstorming ideas, researching information about what I find people are looking for in the areas of confidence and change and what holds people back from writing or expressing themselves from their heart and asking for what you want. Thank you Michael! That is one of the nicest comments I’ve ever gotten. I look forward to staying connected on LinkedIn. Thanks for saying hello and offering to be a resource. Selena – I am loving this post. The detail and examples of how the techniques have worked are simply gold. For me (and I can imagine for others also) there is the mental barrier of ‘this person is WAY too busy. So what’s the point in contacting them?’ Or the killer ‘I don’t have anything to offer’. There are 2 ways that I have dealt with this. The first is being genuine. In the case of blogs, if I have something to say, I leave a comment. Or if I think others will gain value from the posts, I share them. Just because the person is a leader in their field doesn’t mean they don’t appreciate this! The second is asking myself how I would want to be approached by someone. I don’t receive as many emails as Ramit, but equally if someone wanted to approach me for advice, I would want them to be specific-but-not-too-detailed in their initial approach. Excellent that you are leaving comments and sharing their content. I have several readers who I can always count on to promote my work, without me even asking. They definitely stand out and it is always greatly appreciated. And yes, specific but not too lengthy is good. This is so far the best post I have read from you this year. It resonated with me to a large extent due to the fact that I have been using these same strategies and tuning them out to keep getting better to find mentors online, around the world despite being in India and having a tight budget to operate out of. In the last two months, I have got major shifts by using strategies similar to this. I have been mixing up a lot of insights that you have offered over the years along with other bloggers like Tim Ferris, Cal Newport and the like to keep testing till I found something that works specifically for my circumstance and borders in the radar of my interests. Wow! I am an artist and I Just, as in maybe 20min ago, reached out to a really interesting interior decorator after reading an interview of her. I’m so relived to read this and see that going through Marie’s B-school program and being on Ramit’s email list for a few months is good enough that I already have incorporated some of these things. I was specific in my compliments and direct in saying how I could help her. Thanks for really spelling everything out. I am a bit shocked to realize that I have internalized this stuff without really realizing it! Nice! Love how you are incorporating all of this Sara. Ramit and Marie both have amazing content. Just by being on their lists and reading what they have to say will help you naturally step up your game. Congrats! Thank you for this post! I went back to analyze some of my recent emails and I have a question about follow up. I have to perspective employees that replied they were too busy this week to meet with me. I want to give them appropriate space to get back to me, but is there a soft and not annoying way to remind them about meeting, so I fon’t falloff the radar? Hi Roxy, yes, absolutely! You want your follow-up to be pleasant, vs. pestering or an annoying. Just to be clear, did you mean prospective employer or employees? See how psychology works on humans. Just check out the amount of comments including mine. We just love being told what to do. Well Mr. Sethit, your email worked for me, I really needed some money and was finding it hard to ask, after reading the mail, I sent a text to my sister and I got an amount that blew my mind. Excellent post — I met you once years ago, at an 85 Broads event, and am so happy to see where you’ve landed. Your advice on creating value with VIPs was incredibly helpful to me, and I’m in the process of implementing one of the tactics you suggested! I would love some help with a question I have regarding connecting. Back in May I cold emailed a high profile alumnus of my grad school to ask for an info interview. I got a response to meet, but the timings didn’t work out (I was on a plane) and he went quiet. I recently finished grad school and would like to update him once I land a job to see if he’s interested in engaging. I have an article I believe would be relevant to his work, and will lead with that. My question is, do I mention that we were previously in touch? It didn’t go anywhere and he almost certainly doesn’t remember. But doing so may also show persistence and determination. Any advice would be much appreciated, thanks so much Selena! Yes! Let him know you were in touch before, even if he doesn’t remember. Also, be careful with emailing people articles or videos. For example, people sometimes email me saying, “Hey, I thought you’d like this video. Watch it!” as a way to add value. However, these videos are 20 mins to an hour long and I just don’t have time for that. Also, I don’t always find them that interesting or relevant. So the article is fine, but in your email body explain why it’s especially relevant and make sure it’s a good one! Oookay – this almost sounds too simple to work – So I’ll give it a try. I’m excited for the results! This is great, thank you so much! I was pointed in your direction by Jordana Jaffe when I was trying to figure out how best to reach out to others whose work compliments mine. After reading this article, I feel like I have a much better sense of what I’m doing that works well and what I need to improve on. I look forward to growing stronger connections with the right people thanks to this, so thanks again for sharing! Hi Xandra, I’m so happy Jordana sent you here. Best of luck building stronger connections. Fabulous article – I don’t often read such long articles and you kept me engaged throughout with valuable information. I saw a lost opportunity, because I too am a ‘speaker trainer’ and failed to take the initiative, as Pam did, to offer help with a few tips and tricks i have learned as a motivational speaker and trainer. And now I see this as a future opportunities available to me to joint venture and partner with high calibre experts. Thank you Selena. I will take Jonathon’s lead to connect with you via LinkedIn to see how I can help expose you to my group of entrepreneurs and messengers. Hi Annette, nice! I’m glad that the Pam example resonated with you. See you on LinkedIn! Loved this post, Selena (and Ramit)! Ramit, you said that we often don’t ask for help because we think that the VIPs won’t have time for us. Boy, do I hear that! At my current 9-5, I am often intimidated to speak with our COO, but she is always grateful when I do take the time to stop by, give her some feedback about operations, and help her with implementation in any way I can. (She’s offered me a testimonial on LinkedIn and repeatedly reminds me to use her as a resume reference). However, I am grateful for these tactics. I have used some of them before: expressing gratitude, sharing a testimonial, and sharing what I’ve learned. Will make note to use them all in combination, when possible, in the future. Wanted to send you a huge THANK YOU for The Education of Millionaires, and let you know that I am super excited for the release of your next book. Thank you so much for the inspiration and the fabulous book! When the new book comes up, please let me know. I would love to let my network know about it and buy my clients a copy for their personal success. Also, a lot of people say they will do things but never do them. So after you buy the books, send Michael a note saying, “Just ordered my 10 books. Can’t wait to dig in.” You could do this over email, but Facebook would probably be best. Then his other fans and friends will see that people are starting to buy the book, and it may plant the seed for them to purchase more than one. Selena really knows her stuff when it comes to building relationships, especially with influencers. I’ve talked to her privately quite a few times when it comes to applying the relationship principles from experts like Keith Ferrazzi, etc. Glad to hear connecting with VIPs changed your business for the better. Also, I remember Ramit mentioning when you’re reaching out to busy bloggers to guest post or interview/get interviewed by them to suggest 2 or 3 specific articles and give reasons why the article will bring lots of visitors to their site. You get to a great point…figure out what outcome the expert most desires. Then concisely tell them how you can help them toward that outcome. I’m going to sign up for your 4 step guide. Hi Clint, that’s a great point. I have people who invite me to do interviews with them all the time. But I track the sign-ups and sometimes I only get 3 new subscribers, so it’s not really worth the time. So yes, even if you are giving away something valuable you still need to sell people on it. 1 thing I hate is forms that DON’T fill when I click Roboform. That can be improved on your opt-in page http://www.s2-groupe.com/iwt/ for your 4 step guide. I typed out my info and signed up anyway but giving you a heads up. Thanks Clint, I’ll let my tech person know. Hi Terena, sounds like a plan! Thanks for your email too. So happy Jeannine sent you my way. She is awesome and you’ll be in good hands with her. Thanks Selena for sharing such great tactics on how to send emails to influential people. These are definitely going to help me a lot. The next time I craft an email, I am definitely going to follow your advices. Your blog writing is clear and to the point and did not “string” me along but instead you made your points. I am considering a blog or a newsletter as a way to market. I appreciate a well written blog post that is not salesy but has a point to make or information to share and does that by weaving in good stories to illustrate the message. Hi Paul, that is so nice of you to say. I’m glad you enjoyed the stories! I just used the tips to send an email to someone associated with one of my favorite TV shows who is in an online group with me and she responded quickly and passed my email on to another person that can help me out. It works. It felt natural to me and I look forward to using it more in my professional life. I think this post has relevance for people in so many walks of life and so many industries. While I’m certainly no expert on the level of those you mentioned in your post, I started my blog in 2006, and have had a lot of people in my niche (and not in my niche) email me for help, advice and free publicity over the years. Some of them manage to do it in a clear and concise way, but there are so many others who could really learn from your examples here! I’ve just forwarded the link to this post to a friend who is working on a post for new fashion bloggers, as I think it could be really valuable to them in regards to building connections with other bloggers and with fashion brands. Thanks!! Thanks Mallory! I appreciate you sharing the article with your friend. Thank you! These ideas are fantastic and the email/post examples are very helpful. Here I am, putting them into action! I’ve truly enjoyed coming across your work. From the first personalized email to being friended by YOU on Facebook, this really feels like a different way to relate to “experts.” You are setting a fabulous example of how to open things up and create connections, and for this I’m very grateful. Now I need to practice on more people whose work I respect. Thanks again! You are right, powerful people and influences can open up many doors for you, but you technically only get 1 chance to grab their attention. Just as you said, “Many people go about emailing influential people all wrong,” Im sure we all made those mistakes, but we can use your techniques to improve ourselves. Love the idea of being a giver and adding value to experts you admire. Im going to email one soon, will let you know how it goes! Btw, I already signed up for your 4 step guide, great info! Hi Alex, thanks so much for kind words. It means a lot to me! I’ve been suffering from this exact problem. I changed my career a year ago and being a newbie in my new career field I always felt like no one would want to do anything with me. Of course, in reality that is not true but asking an important person to share their time with me would require me to return the favor in some way and it is hard for me to return the favor since I’m inexperienced and not well connected. I did find Andrew and D Jacobsmeyer’s messages as good examples, they’re very helpful. There are so many cases in which people helped me in career, motivation and self development areas with their blog posts, podcasts and books. I could definitely mention those. Thanks. Hi Pinar, thanks so much for your honesty. This is a dangerous, invisible script that many of us have. I’m really glad those examples were helpful. Best of luck with your outreach! This is great advice, I host an interview show and reaching out to people can be challenging. I’ve also found it is very useful to follow up a 2nd time through comments on the person’s blog or on Twitter. More times than not people either reply letting me know they never received my message or missed it somehow. I’ve now interviewed 30 people and have had some really high end guests such as Pat Flynn and Andrew Warner on my show, I just keep the e-mail short and to the point. Hi John, wow! Those are really impressive guests. Clearly you are doing something right. Keep up the good work! These are great tips! I read this hoping for some insight on how I might provide value to TV producers/journalists, since, as a PR person, they are my predominant targets. While your examples don’t overtly include how one might provide value to such an audience (since they are not “experts” in the same way as you’ve described above), I do find the idea of providing value/giving a very intriguing one. How do you think employing your methods might work when they’re geared not so much to an expert but rather to a professional and when the goal is not a mentor but the exchange of information? This post made me realize that I should be diligently following PR experts and thus employing the strategy you lay out above on them. That, in turn, might help me get to the producers/journalists that I’m longing to build a relationship with. Thanks, Selena! Hi Annabel, the same ideas apply w/ the media. Follow them on FB and Twitter, comment/promote their articles and work, and put their needs first. For example, let them know you are happy to be a resource and help them find sources for anything they are working (whether or not the source is a client). I wouldn’t suggest connecting w/ PR experts, in hopes that this would help you build relationships with the media. I would just connect with the media directly. Thanks for your question! In my opinion creating strong social links beats any other form of advertising, be it SEO, content marketing or whatever. Business is all about connections – the more people you know and are on good terms with the better your options. I have personally used the blog comment method, and the short emails with offers/value adding and just to get attention and build a relationship with the likes of Neil Patel, have received personalised advice of Marsha Stopa and even got a reply back to my emails from Derek Halpren who is mentioned in this article. Now I’m not trying to drop names, I am just trying to show that these methods work – but they work only if you are genuine. I do not reach out to these people with manipulation in mind, or expect any sort of favour. I reach out to them because they reach me with their message, and they do a fantastic job – so I just give value back. The message I want to tell your readers is that a.) Its never too late to start networking and b.) anyone can do it, you don’t need impressive credentials or achievements ( they do help) but if you are creative you can give value in your own way, anyone can. This was an amazing post and I hope that people get out of it as much as I did. I am going to add you on twitter – I hope you don’t mind. Thanks Selena even though I have just become aware of you and your work it does mean a lot to hear that from someone in your position. A lot can be gleaned about someone in just one post as it can give a great snapshot into someone’s mind, that’s why I really appreciate your comment and you taking the time to reply back. I look forward to seeing more of your work and I hope to see you on twitter. Thank you so much for this powerful and effective article. After a couple of minutes, I tested your advice and applied it to schedule an interview with a newly published author on Amazon. It worked! Thank you so much. I’ve just shared this to my networks 🙂 God Bless. Nice! Great work Monnel. And thanks for sharing the article as well! This article has inspired me to actually reach out and connect with some of my favorite bloggers and web personalities. So often I see blogs as input only rather than interactive. I shall try this exercise to help me stretch outside of my comfort zone. So glad this article inspired you John. Wishing you luck as you stretch outside of your comfort zone! Thank you for this wonderful article – and how timely! I found myself writing a thankyou email to someone who inspires me a few days ago, I followed most of advice you gave here except that it was far too long. I reread the email after sending it and cringed, why would anyone want to read somethign so long! I got a reply but it was a couple of sentences and it made me feel guilty for sending the email in the first place. Lesson learnt, keep it short and to the point. Thanks for highlighting my error! Hi Amy, we’ve all made that mistake from time to time! Good for you for writing the thank you email (most people don’t say thank you enough) and know that you’re emails will certainly get better over time! Thank you for this article. Believe it or not that’s what I have been looking for, for a couple of days. For a while I was thinking of how to get connected with my favourite experts in health and well-being industry. I would love to write for them (articles, short tips ect…). Also,I like that this article’s content is easy and simple to implement. By the way, this is the first time I came accross your website and happy to learn more. Hi Edy, fantastic! Best of luck connecting with your favorite health & well-being experts. hi selena, fantastic article — I know that your advice will work , I want to ask you about blog , twitter , linkedin , etc — I need someone to manage it for me . I just don’t have the time , I am thinking of outsourcing , e.g. elance , but am concerned that they wont capture my ideas and thoughts properly , so perhaps I should use someone locally ? thank you, Richard , ps — if you want I can contribute an article to your business . Hi Richard, it’s fine to outsource some aspects of social media. However, if you are having conversations with people (i.e. responding to tweets or messages) best that it comes directly from you. Good luck! Well, i’ll put your advices in practice right away! I’m starting a new on line business in Brazil, i’m a chef and alredy own my restaurant, it’s callled “Lá no São Jorge”, it’s in Arraial d’Ajuda, Bahia. Later on i’ll share with you if it worked, and perhaps you could use my results if you want it, it’s the least i can do for you in retribution! Well, if you stop by i could offer a cup of coffee! 🙂 If you’re interested check out my fanpage at facebook.com/lanosaojorge. Even though I have learned about these tips previously, but I don’t think I’ve ever fully internalised them until I have experienced being at the receiving end. I run a 12,000+ member LinkedIn group and send each new member a welcome message. When someone replies and asks me a specific question or for specific help, I tend to respond much faster and can give real help. But if the message is too generic or too long, I may procrastinate and come up with excuses to do it later. I can’t stress enough how *real* this is and how important it is for everyone to follow these tips. Doing these things really do matter when the person you’re contacting is busy! Hi Enoch, you are so right! It is hard to fully internalize it until you are on the receiving end. The LinkedIn example is great — when someone makes it easy for you to help them, you are more likely to do so! What a great and impactful article! I think your tools can easily be used by those who are looking to change careers and build a network in a new to them industry. As a career coach I will encourage my clients to read this article and apply your message to how they email potential employeers. Hi Helen, wonderful! I’d be so honored if you’d share my article with your clients. Thank you. Such a great article. I actually forwarded it on to all of my clients as a MUST READ. It is so infrequent that someone who understands how this process works shares it in such a complete and impactful way. Hi Sarah, wow! Thanks so much for sharing this with your clients. Selena you know your stuff inside and out. Thank you so much for sharing yourself with us!! You’re welcome Vasavi! Thanks so much for reading! Great article and love the examples, Selena. BTW, you are “leading with generosity” by sharing these insights with others. This article is so helpful. I am starting to realize that my connections are the most important relationships in my business. Your action steps challenge me to get real about what I have to offer people and reminds me that I have a valuable skill set. That gets reinforced every time I reach out. I think the other insight this has given me is to pay attention to the people who I naturally gravitate to. When I connect with influencers that I genuinely like, it doesn’t feel imbalanced or like I am being a ‘fan’. Instead it feels authentic and what we have to offer each other comes naturally. Summer, I love what you said about “pay[ing] attention to the people [you] naturally gravitate to.” This is not about being overly strategic and calculating. It’s about connecting with the people you feel most genuinely excited about. You’re most welcome Hema! So glad this helped change your mindset. Selena, what a brilliant article! I am feeling so inspired and although I’ve been using the techniques you mention here, it’s just so important to re-read the super duper wise piece of advice. I’m so going to apply these in my coming launch. Thank you! Hi Katya, fantastic! Best of luck with your launch! I love how these ideas are thoughtful ways to genuinely build relationships that are mutually beneficial. I’m planning on using your tips to show my admiration for a few experts I follow! I am SO grateful to have such a clearly explained setup for reaching out to influencers. This is so incredibly valuable and can truly make all the difference when trying to move your career forward. I absolutely love it! Yes! It’s these types of relationships that will really move someone’s career forward! Thank you so much for the super informative and incredibly generous explanation about how to reach out to influencers. You really do know your stuff!! Many thanks for all the value and inspiration you provide! You’re most welcome Ashlee! Thank you for reading! Thank you for this great and very helpful post, Selena. You have a gift of breaking down complex issues into bite size, easy to digest and memorable pieces. Thank you for the insightful and very valuable information. I learned a lot from your post and can already see myself implementing your strategies. Knowing how to write emails to influencers takes the fear out of leaving the wrong impression. I can see how your advise will open even more doors for me and my motivational speaking and coaching business. Hi Ingrid, you’re welcome! Yes, it can be scary to email high-level people. I’m glad this was helpful, and best of luck with your coaching + motivational speaking biz! Thank you Selena! I wish I read this article an hour ago before I sent a follow up email to someone I met awhile ago. I think Laura Yamin pointed it out too – – have an intention and be specific about what you want/how you can help. You don’t want to make the “expert” do the work. As always, gratitude for your wisdom! Hi Audrey, exactly! Make it easy for the expert to say yes. I love how you included real email examples to illustrate your point. It’s definitely important to be mindful of influencers’ time, and a well-written, concise email can be a great first impression. I agree that it’s the first step to a meaningful dialogue. Hi Chelsea, thanks for your note! So glad the real email examples were helpful. What an amazing article Selena! Thank YOU! I am totally going to be using your tips asap thank you for sharing them with us! I absolutely LOVED all of your examples!!! Yay! So happy you’ll be using the tips! Selena, I love these practical tips. This is so important and you remind me that it’s actually way easier to connect with those people we admire than I think. I reached out last week to a big blogger last week and also a reality TV star for a feature on my blog and they both said yes! Huge congrats Ali! So cool that the big blogger + reality TV star both said YES! wow, thanks for the incredible tips, Selena!! I will share this with my clients- so helpful and important for all entrepreneurs- especially those starting out. Thanks so much!! Hi Michelle, glad you enjoyed the tips + thanks for sharing with clients! Selena, excellent article. Love the clarity of your call to action and how you pointed out the strengths of Pam’s e-mail : credibility, enthusiasm, and relevancy. Thank you. Thanks Edita! I really love the Pam example too. Thanks for getting so specific with the insider examples of actual emails. That made a big difference in clarifying what you mean and making it possible to implement in my own business. And I’m so glad you didn’t say to keep it to X number of sentences. I’ve been told before that 4 sentences is the max for a first email, but I think the content is so much more important than the length and a really short email definitely doesn’t feel like you put much effort into reaching out, which can reflect poorly on you. Hi Laura, that’s interesting! I’ve never heard that advice about keeping it to 4 sentences. What a thoughtful article. I typically don’t bother posting on blog posts that have a ton of comments, I’ll change that now. As in, now. Thank you! Selena, great article! I thrive on examples so it was great that you provided a ton. I know I can be wordy sometimes in emails, just because I want to make sure to provide a full background picture, but will definitely work on refining that. I’ve benefited from your advice before and will definitely implement what you’ve shared here as I launch my upcoming Lupus outreach project. Selena, this is an amazing post! I realized that I love it when people write me and tell me how what I wrote got them into action or helped them find love, so why wouldn’t I let a person I am following in on that! That is simply yet powerful. I will be taking on your challenge:) Thank you. Hi Kavita, yes. Oftentimes we think great things about someone, but we never tell them! What a missed opportunity to develop a relationship and let someone feel appreciated. Fantastic blog post. I am always curious how I can add value with my emails. Thanks for addressing this super important issues. Having this knowledge will give me more confidence to reach out to those I feel called to, and know how to do it in a way that is beneficial to them. Thanks again. Love this! Yes! And the email in and of itself should add value. Short, digestible, enjoyable to read, exciting. Hi Selena: This post is perfect timing for me. I have all this credibility and product for teens (bodimojo.com) that significantly improved girls body image (published in a peer reviewed journal this month!) and I’m trying to get the word out to the general public, get some press, and find strategic partners. We’ve got an awesome story to tell! The biggest barrier seems just to muster the courage to ask in a way that is both strategic and authentic! This is a really helpful post. Hi Tara, yes! Important to be both strategic and authentic. Good luck! This is great information which is actually also applicable to people reaching out for sales, pr outreach, and digital marketing. I am printing this out and sharing it with my team. Thanks. Wonderful! Yes, it is applicable to so many areas of business. Thanks for sharing with your team Vee! This is so helpful! Being a shy person, I often struggle with this but your article really repositioned the way I look at reaching out to people/businesses I admire. I appreciate the simple, actionable steps for how to get on someone’s radar simply by being supportive. This is a fantastic resource for anyone, whether you are well established or just starting out. Thank you! Hi Quinn, I understand this as I can be quite shy too! But when you approach someone from a place of genuine passion and support, there is nothing to be shy about. You are just there to add value and help! Thank you for laying down a great blueprint on how to communicate to people. I will definitely fine tune my skills with your wisdom. Awww….thanks Rachel. You are one of the most connected people I know. That means a lot! Selena, thank you so much for this great information. Having these specific examples gives me so much more clarity and confidence to reach out via email. Thank you so much for sharing this information. This is exactly what I have been looking for, because I would like to develop real connections with people in my niche, and not just write spammy emails to them, asking for them to just share my stuff. Yes, it’s all about real relationships! Selena, this is a “powerfully” wonderful post! Your specific tips on giving testimonials, commenting on blog posts and contributing post webinars are great. I personally love the examples that highlight how to do it well along with what will “bomb”. One thing that the reader might consider before taking the first step is to consider how their personal brand is in aligned with these guidelines. I coached many entrepreneurs who glean the highlights of great advice like this and use it only as a “one off” marketing tool. For example, Selena, your brand is all about creating long term meaningful relationships so it’s no surprise that you’ve succeeded using these techniques. But others might not be as successful if they use the techniques as a one off – rather than integrating them into their entire marketing and branding strategy. Can’t wait to see more of your recommendations and strategies on upcoming posts!!! Exactly! This is most effective as a long-term approach to building relationships. Thank you for offering your powerful yet simple + easily applied advice. If you boil it down, it’s really all about the LOVE…that’s my major take-away. I am going to post on FB so that more people can share in the Selena wisdom. Meredith, yes! It’s about being thoughtful and showing people how much you care. I’ve had an internal feeling that connecting with and helping other well known experts is important for me to get my message out into the world. My message: That you CAN heal ADHD + autism. Thanks for laying out steps that show me how to get the ball rolling in this arena! I will be using your suggestion to ask a thoughtful question and then follow up twice with the expert, and actually, I’ll be connecting with you to do this. You were kind enough to provide me with some great ideas yesterday at Kristen Domingue’s biz retreat -how to connect with Jenny McCarthy and other celebrities. I will email you directly to share exactly what what I will be doing. Hi Andrea, so happy I got to meet you at Kristen’s Mastermind retreat. You are doing such important, life-changing work. Yes, definitely run the celebrity outreach ideas by me. Good luck with your amazing biz! I actually commented earlier a couple days ago, and have since read that four page guide you provided a link to. That was excellent! A question came to me in the time since then. I was put in touch with someone (a person more senior and experience and certainly closer to “expert” than I am for sure) by a friend, and this person actually emailed me first, offering to answer questions and what not…would you say that this situation requires applying the same principles you described in the post? I feel like they definitely apply here too, but am wondering if I should tweak the approach at all. I might be over-thinking it a bit, haha. Hi Julian, so happy you read the guide! Yes, same principles apply in this situation. Very cool that the high-level person emailed you first! Thank you for providing a clean, clear article that highlighted the major points on email communication that will have a better chance to get noticed. You reminded me how important it is to make comments so people know I’ve read their content and found it valuable. So many don’t… I’m looking for those same comments and your words validated the act of recognizing others while you are building your own business. Thank you! Roberta in Salem MA where we are approaching the best month of the year. Wishing you success and abundance. Hi Roberta, I’m so glad you enjoyed the article! Yes, I love how you recognized that you too are looking for the same acknowledgement and appreciation that the experts you admire are. Sometimes we think that high-level experts don’t have any needs, but they do. Like us, they want to grow their business, reach more people, and make an impact in people’s lives. This is one of the most informative and useful blogs I have ever read. Thank you so much for sharing your brilliance. I have printed this blog and will be referring back to it again and again. Thank you Heather! I’m so glad you enjoyed this! Selena, THANK YOU for this awesome post. Congrats on hitting your 200 comment goal (saw it on Facebook)! Also, I’ve just shared your newsletter with several of my friends. A quick question: any best practices around providing value to folks inside a company (not your own)? I have informational interviews coming up with two pretty senior people (one of which I would not have been able to get without your most recent email on how to follow up if they don’t show! ), one at a top consulting firm and another at a private equity firm. My plan is to ask them what their biggest challenges in their jobs are and then figure out something from there. But if you had any thoughts on something I may be missing (or comments on my approach) I would be most grateful! Hi Jana, thanks so much for your comment! Yes, that is a great question. I would go beyond asking what is the biggest challenge in their job to what is the biggest challenge the company is facing. You can also ask what their priorities and goals are, and what they think are the biggest opportunities for their company. Fantastic post Selena, thank you! I’ve used the attend a webinar –> ask a question –> follow up email strategy to great effect in the past. It really does help you stand out from the crowd and make a mark. Hi Jen, I can already tell that you’re a big action-taker. Love it! And if you get a chance, let me know what you think of the free guide. A lot of my best stuff is in there, and if you implement some of it I know you’ll get amazing results! Thank you for sharing it Selena. The two email examples were incredibly helpful and enlightening. I’ll be applying your tips when I start reaching out to experts! Excellent! Thanks so much Dana. Hey Selena, just wanted to follow up and say thanks for the suggestions on how to broaden my questions. It was very helpful in terms of “thinking big” in my conversation. I just had my info interview (over the phone) with one of the folks I mentioned, and the conversation was very neutral. He said I asked good questions (that built on themselves over the conversation), and the conversation flowed, but there wasn’t a distinct rapport to build off of. My sense is that I have nothing to lose by closing the loop — thanks for flagging it for me! Hi Jana, thanks for letting me know! We won’t always hit it off with everyone, but by closing the loop you’ll stand out as thoughtful and professional. Good luck! Wow! Thanks for all of the info, Selena! I love the “how to” in this article. Experts always talk about the annoying emails they receive and that if one thing I of service they are more likely to notice. I had followed Lissa Rankin (healthcare revolutionist) for sometime and as a pharmacist who is on her way out of traditional healthcare to get people to play bigger and express their TRUE selves, I resonated with her story. I had the fortune of meeting her and wanted to share my story but I did not want to be “one of those annoying followers”. However when the 3rd person told me to reach out to her including another blogger I love, I took it as a sign, I followed her suit if vulnerability and told her that by not sharing, I was actually making it about me instead of as a way for my story to hrl her community (cuing debilitating neck spin of 20 yrs through forgiving my deceased father). The result: within an hour she tweeted my blog to 120,000 folks! Thanks so much for this great, thoughtful article. I was about to reach out to two influential bloggers and now I know exactly what to say and how to approach them. I’ll keep you posted with the results! So glad to hear that Andreea! Man was just talking about great mentorship with a colleague of mine recently… thanks. I now have a plan of action. Thank you for an insightful and helpful post! Selena is a wealth of knowledge that is seriously needed! Required reading for all of my coaching clients! I thought I would jump in here because I was going to comment Terri’s blog and leave a comment for Selena but then I saw Terri’s comment and thought this would be the perfect place. I just listened to your interview on the living green summit Terri, and found your advice so great but so overlooked…lets just say a lot of things I can improve on. I actually already implemented your advice on just listening and being aware that your partner doesn’t work for you and to show gratitude towards them. Needless to say it was well received. And Selena I read your post on Terri’s blog about the most important assets in your business being your relationships. I am realizing how true that is and plan on really spending some time building stronger relationships. Sarah, thanks so much for reading my post on Terri’s blog (and this one as well)! I’m so glad my message resonated with you. Ramit: I gotta say, your guest posts keep getting better and better. I’ve been reading IWTYTBR for quite some time and you constantly post free content that would cost premium prices anywhere else. So thanks. By the way I really wanted to comment on the coolest hookup post you did, but could not think of anything that came close to your hookup. Guess I will have to start reaching out to people in my network to try to top yours! Selena: This was a really great post and there is plenty of food for thought. All I need to do is figure out which expert to reach out to. By the way, I subscribed to your site feed and I absolutely loved the crying at work post! And I’m glad you enjoyed my crying at work piece. I poured my heart into it and it is one of my faves! Selena, this is really amazing. I’m at a time in my life when I really need this information. I love the way you made the wrong and right ways to do it completely clear. Funny thing is I’ve been doing the wrong thing since. Hi Uchendu, so glad you enjoyed it! You go lady! This is amazing gift that you shared with the world. I am forwarding this right now to my Mom who is an Author! I worked in Publicity, Media & Entertainment and never thought to break down relationship building and what we do like you did. I love, love, love that you highlighted specific examples from real emails. When I traveled the world with Lindsay Lohan (in her prime, not her “recent days”), (: I met so so so many people and was so busy but welcomed when people offered to help me verses take from me. And boy did so many people try to take from me too! Great job, you nailed it! I learned about you just 2 days ago from Natalie Lussier and I am a fan of yours already! I am re-building my website to start sharing my knowledge to help others. I will use your approach to get more testimonials. Thanks again! Best of luck using these techniques to get testimonials for your site! I found this article so helpful! I really appreciate when experts work to put valuable information out there, and often forget that sending a note of appreciation can go a long way. As a web designer, I often ignore “PR” strategy stories because I feel like they don’t apply to me- I’m not going to be featured or interviewed since I’m so behind the scenes! But I love how your approach is about building community and sharing great information. Keep up the great work! Great insights – particularly about keeping it clear and concise about the value you got + an easy yes/no call-to-action. I plan to use this framework to follow-up with a 2-part presentation tool webinar I attended yesterday and will attend tomorrow. Your post also helped me realize there IS value in commenting for my favorite bloggers like Ramit. I don’t always comment on experts’ blogs because I don’t want to say something nice but relatively meaningless like “cool post!” and waste their time – and this is important. But more importantly I learned that I should articulate how the blog post was valuable, because that’s valuable to them. Hi Jennifer, that’s fantastic! Good luck with your follow-up! I have to enroll in this course. I have submitted my email as well. Please let me know when its going to be open. I found this information fantastic, particularly the email breakdowns and the structure of an effective email. I have also been in Ramit’s ZTL and ZTLA programs and listened to some of your comments. Your an exceptionally inspirational person when you speak and your comments made in the ZTLA Events Recordings section where provided great insight into making connections and how to do so.. Awesome read. I am looking to gain ground in the entertainment industry as an actor, so finding mentors and developing relationships with VIP’s is are significant goals I have for the near future. Your advice concerning being specific about how a VIP’s product or action has positively affected you was great. I feel like that proactive approach creates additional confidence for us (people looking to connect) which can translate to adding value in the eyes of VIP’s. That was just my interpretation and I’ll definitely be incorporating that for my email correspondence moving forward. I have the great fortune to have stumbled on Ramit’s work (and yours by proxy) just as I’m in the middle of creating my dream career. It’s so refreshing and exciting to be ready and able to learn from the experts instead of just wishing I could be like them! I look forward to being in a position to afford the paid content here (this will come when I’m finished with my Masters degree) but I feel like I’m already setting myself up for success by carefully going through these older blog posts, learning the basics and deciding whose content is the most helpful and meaningful to me. When I’m ready for it, I’ll know exactly where to go for more instruction. This was an excellent post. I’m still in the immersion phase with my product idea (and member of ZTLA), but have already started to compile a list of bloggers/experts that I want to reach out to. Even though Ramit counsels to start with the “b-list” bloggers, I’m going to take your advice to reach out to 10-20 “A-listers” and start contributing value to them, so that when it comes time to ask for that guest post, I will have already “primed the pump”. Thanks again for a wonderful, eye-opening post. I implemented your advice on reaching out and being of service to the influencers in my circle and it makes SO much sense the way you broke it down. And of course, I had to immediately implement it. And it worked like gangbusters. I now have two incredibly gifted entrepreneurs that are looking to share my launch with their list. I just wanted to thank you for your openness and giving me great information to help me move forward in a hugely effective, non-slimeball way! You rock! Not in my nature to comment on something like this, but, you suggested at the end of the piece to comment and I believe in action! I am in the process of reaching out to mentors, affiliates, etc. I sent an email this week ASKING for things. Next email I send will be implementing your generosity and gratitude strategy. You made me realize that I can GIVE to these mentors. The long-lasting relationship will always be more valuable than the quick sale! A big thanks to Ramit! I was referred to this page from his email blasts which I actually subscribed to. Maybe one day when I fix my credit I will pay for one of his services! Thank you for the infor Selena, will sure come in handy as am still a novice and building online business knowhow….Its people like you that keep the fire burning. Bless you. Great points made in this article. I used these strategies in january 2016 and in a short 30 days I was able to get a scholarship to BTBY from Kimra Luna a multi million dollar branding bombshell. I had pur intentions I serious didn’t think that would happen. I gave value in her group, attended all her webinars, asked questions and followed up in the group. All just to stay in a good place and get engaged. My business as a business strategist/clarity coach has transformed and I have tapped into a potential that had not been seen before. THE TIPS WORK … Many don’t do they because they are simply but they are not easy to stay consistent on. Great article, I love how we can feel the friendship and respect between the two of you, it’s magical when your mentors become friends! Maybe you two should guest speak at business universities? More college aged kids need to hear this information too, it’s important especially to newbies.. I was in a business leadership club and was thankful to learn these skills early on. It’s like going to eat and never paying or thanking the waitress… just wrong! Very insightful content. Loved the given in depth examples of What not to do like “J” and Replied by Ramit to Jacob. A lot to learn from this, will try to keep these point in my future emails for sure.